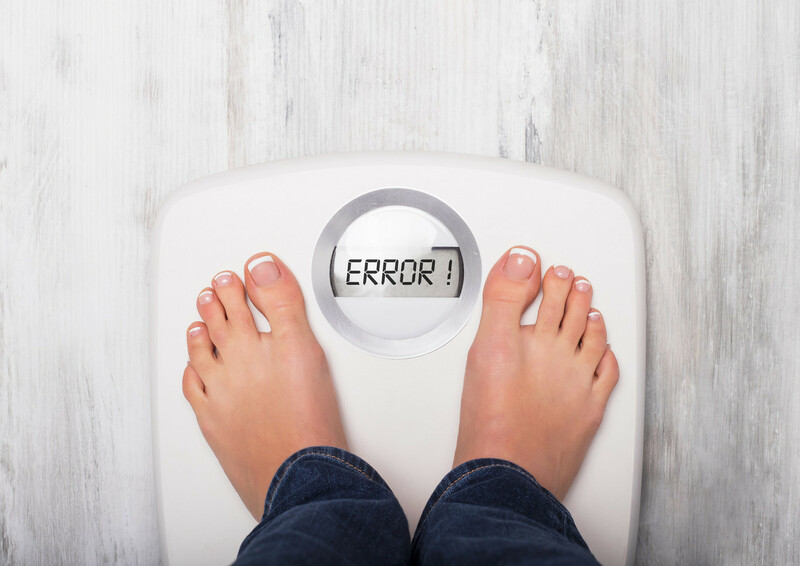 If your attempts to lose weight are not giving the expected results, it is time to do a review, that’s why we show you the nine most common failures in slimming diets that you may be committing and that is why, although you are trying hard, do not lose weight as you wished. . The calories in food are important, because ultimately you need an energy deficit to lose weight , but knowing where the calories come from is of great importance . There are nutrients like trans fats that although they provide the same amount of calories as omega 3 for each gram, can have a very different effect on our body, because while the first induce metabolic changes that lead to obesity , the second can be of help to lose weight . Also, labeling can underestimate the energy contribution of food and show us wrong information that does not allow us to ensure an adequate intake of calories to lose weight and as if that were not enough, counting calories is stressful and difficult to carry out that can end the adherence to our strategy to lose weight. If our strategy to lose weight is to eat quality foods such as fruits and vegetables, legumes, whole grains, seeds, lean meats or others but unlike the previous failure you neglect the quantity , you may be making a serious mistake, because both quality and quantity It must be considered. Control the portions of food ingested is very helpful at the time of losing weight, because it accustoms us to eat in moderation and promotes the achievement of a balanced diet , that is, if there is no excess or lack but all in its just proportions. Therefore, if you do not consider the portions and you spend consuming, for example, nuts or olive oil, which are high-calorie foods and equally healthy, this can be the failure in your diet. Your life-long friend is giving that diet a lot of success but not you, what happens? Well clearly they have very different needs and maybe your friend needs more calories than you and the deficit that this diet proposes is for you, while not for you. Even the diets provided by health professionals should be individualized , otherwise, it is not suitable for us and may or may not help us to lose weight while taking care of our health. We are all different and for that reason , magazine diets, miraculous, are of no use when losing weight, nor are the strategies used by our brother or friend and that work perfectly in your life, but it does not have to be the same for us. . The first allies at the time of weight loss are “light” foods that should have fewer calories than the traditional version, but also, are not always useful to help us lose weight , because many times the energy difference is not significant or the amount consumed It does not establish a great distinction . Also, we usually think of “light” foods as slimming or healthy foods of which we tend to consume more quantity , something that can lead to an excess rather than a deficit of calories. Remove sugar and refined flours from your diet and do you think it is enough to lose weight but you do not get results? You should know that other components of your diet such as salt should also be considered . An excess of salt ends up in a high consumption of calories , it can stimulate the deficient hydration and lead to an excess of weight to cause not only of a superior intake but also of a retention of liquids . Therefore, reduce salt in our diet is as important as taking care of calories and sugar at our usual table if we are looking to lose weight. Liquids do not favor satiety like solids and we can drink a lot without realizing it , therefore, choosing water as a habitual drink is key to achieve a healthy diet . If on the other hand we choose sugary drinks, juices, nectars, smoothies and occasionally alcohol, we can certainly pass with the liquid calories in our diet that do not offer benefits because they do not contribute significant good nutrients but instead, empty calories derived from the sugar or alcohol. As if that were not enough, many substances contained in sugary sodas or sugar and alcohol as such can have an addictive effect on our body and encourage us to consume more and more of them, something that in no way favors our attempts to lose weight while caring for health. The number of diets to lose weight or more complex plans to lose weight that do not include exercise in your practice is not reduced , something of great importance at the time of achieving results. Beyond calories , exercise encourages positive changes in our metabolism and in our habits and behaviors that are very helpful when losing weight , therefore, their practice should always be considered. In addition, the results will never be the same if we complement diet and exercise than if we only intend to lose weight through a food strategy, as exercise tones, helps maintain lean mass and therefore, is also key to not recover lost weight . A good hydration is key to the control of body weight , because among other things, we can confuse the sensation of thirst with hunger and “satiate” it with foods that add calories that water does not contribute. Likewise, a deficient consumption of liquids can hinder metabolism and the burning of fats as well as favor the retention of liquids that can translate into a higher weight when climbing the scale. Finally, staying well hydrated should be a factor to consider to achieve good results in our diet to lose weight because it can also be helpful to eat better . Eliminating entire groups of foods is very typical of miracle diets , in which all the hydrates are eradicated, or all the fats or even the fruits and vegetables that offer so many benefits . Well, this strategy can turn against the moment of seeing results, because it reduces the adherence to a diet, stress the organism by becoming a strict and inflexible strategy and this can lead to more anxiety and weight gain . And if we could lose weight with the elimination of a group of foods, our metabolism might suffer and therefore, we would end up with a rebound effect that ultimately leads us to gain weight instead of maintaining the lost weight . These are the nine most common failures of slimming diets that prevent seeing results despite our intense effort to achieve it. Have you committed any of them?